Around the old wooden pier at the seaside of the Belgian town Ostende two new modern piers with walking paths were raised. Built by the Flemish Governmental Maritime Access Division between 2010 and 2014, they are meant to improve the accessibility of the port and to protect the city centre against flood risks. The piers also function as a promenade into the sea and have quickly developed into a tourist attraction. To ensure stability of the breakwaters, the Belgian governmental department Maritime Access Division has commissioned to equip them with 550 concrete crest elements on the sea side of the promenades. These elements and the concrete promenades were colored to assimilate the shade of sea sands. The pigments were selected from the Ferrotint range of Cathay Industries. These synthetic iron oxides, in combination with a specially developed concrete composition, are characterized by high weather and salt resistance as well as durability. Since the expansion of the port in Ostende, which was planned in 1997, ships up to a length of 200 m and up to a depth of 7.5 m are able to dock here. 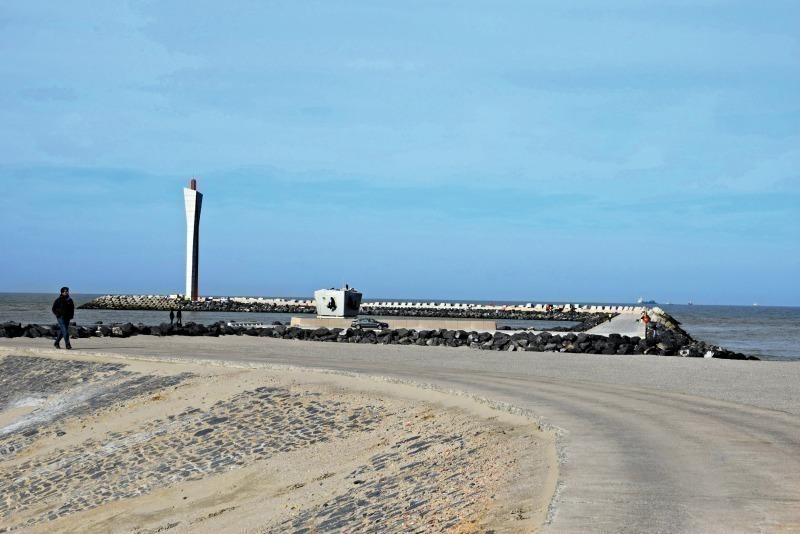 To improve the access to the port and to protect the city centre against storms and floods, two new piers with a length of 750 m each were built into the North Sea. 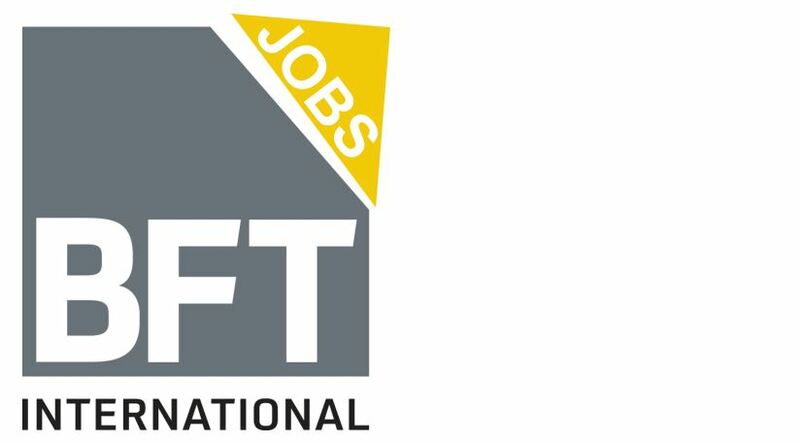 Their foundation was established between 2010 and 2012. The completion works started in 2013 and were finished in 2014. Since then the piers are situated 7 to 8 m above mean sea level and have a width of 8 m. The old wooden pier was left in place and is considered a precious heritage from the past. 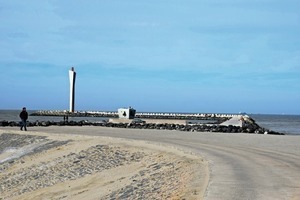 On the sea side both piers are equipped with 550 precast concrete crest elements made by company Lithobeton. While walking on the promenade, they serve as hand rail and protective wall. Altogether the blocks comprise 2500 m3 of architectural colored concrete. 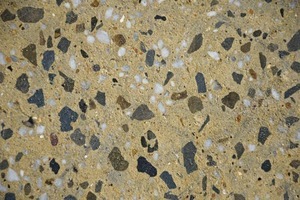 Moreover, the walkway is made of ready mix concrete from Inter-Beton Ostende, a HeidelbergCement Group company. The path holds about 5300 m3 of colored concrete in the top layer. The objective was to produce a material that equals the color of the sand at Ostende’s beach. To achieve this, it was important to choose pigments that ensure a durable architecturally-pleasing appearance. These requirements are fulfilled by synthetic inorganic iron oxides of Cathay Industries. Starting the pigment selection, the investor Maritime Access Division ran intensive testing on a 20 m2 trial area in order to identify the ideal pigment formulas and surface treatments. 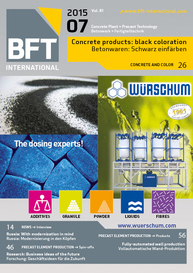 Finally, specific blends of pigments from the Ferrotint series were selected. 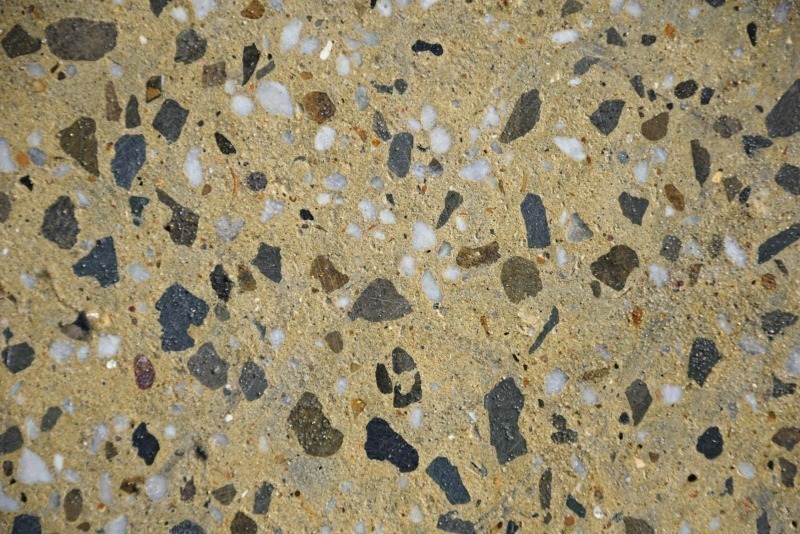 These Ferrotint grades, combined with a specially developed concrete composition from Lithobeton, are characterized by color consistency, light fastness, alkali and acids resistance as well as by stability in salty environments. As a consequence, they assure the requested visual appearance for a long time. Cathay supported the project by blending the colors upfront and providing them in cold water soluble bags. Added during the mixing process these bags facilitate exact, fast and clean dosage and dissolve completely in the concrete environment. The used cement had a very light grey shade and was hence ideal for being colored with synthetic iron oxides of Cathay Industries using 1 % of Ferrotint Yellow F5300. The blocks – 1.85 m high, 2.00 m deep, and 1.75 m wide – were made of self-compacting concrete from Lithobeton with 1.5 to 2 % of Ferrotint F6531. The main challenge was to produce the 550 blocks in equal climatic conditions so that all of them have the same color. For this reason, the manufacturer built isolated containers around the blocks and stored them in a heated damp room with 95 % humidity. Due to the fact that the working space at the pier was limited, the concrete for the footpath had to be laid from the masonry dam backwards. Thanks to the pigments and the intensive polishing of the surface, the desired color shades were achieved. Experts from Cathay supported the planning as well as the coloring process to ensure a result that fulfils all requirements. 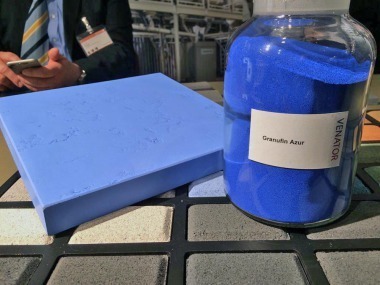 “The color of the concrete is exactly what we had in mind – we are very pleased with the result”, says Hadewych Verhaeghe, Managing Civil Servant at Maritime Access Division to summarize the cooperation with the pigment manufacturer. 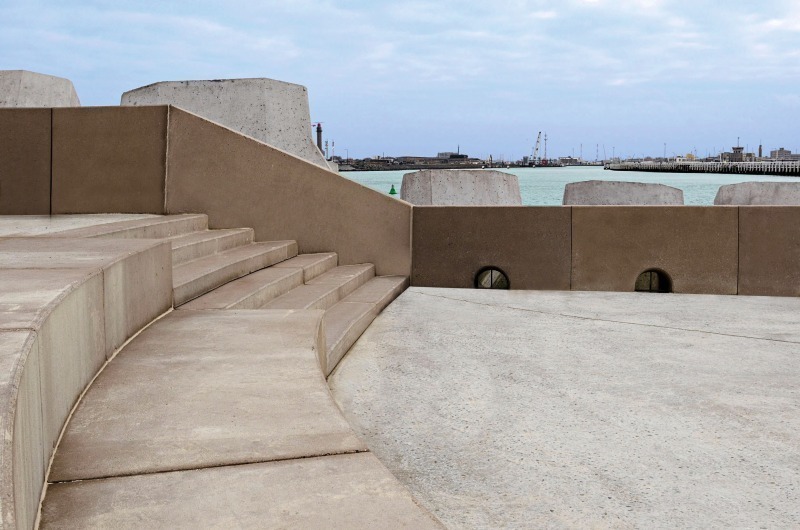 Upon completion the breakwaters serve as safe protection for the city centre and as a pleasant tourist attraction in Ostende.